If you’re up to a challenge, don’t miss the chance to test your endurance and participate in the 2019 Michelob Ultra Challenge, that consists of running the 15K & 5K on Saturday and on Sunday, the Half Marathon & 8K…30+ miles over two days! In addition to the individual event Runner Premiums (15K Shirt, 5K Shirt, Half Marathon Shirt, 8K Shirt, 15K Finishers Medal, 5K Finishers Medal, Half Marathon Finishers Medal & 8K Finishers Medal, 15K Virtual Finisher’s Certificate, 5K Virtual Finisher’s Certificate, Half Marathon Virtual Finisher’s Certificate, 8K Virtual Finisher’s Certificate, a Virtual Goody Bag & one PGDC Branded Publix Reusable Shopping Bag), registered Michelob Ultra Challenge participants will also receive a Michelob Ultra Challenge Finisher’s Jacket. Those runners and walkers that complete the Michelob Ultra Challenge by participating in and crossing the Finish Lines of all four events will receive a HUGEMichelob Ultra Challenge Finisher’s Medal and a Michelob Ultra Challenge Finisher’s Certificate. ATTENTION MICHELOB ULTRA CHALLENGE WALKERS! Walkers are welcome in the Michelob Ultra Challenge. Because of road closure permits, a 16-minute per mile pace must be maintained in the 15K, 5K, Half Marathon & 8K. For event specific Walker Information, please visit the 15K, 5K, Half Marathon & 8K Runner Info pages. Challenge (15K, 5K, Half Marathon & 8K) Seeded Start Access is limited and will be provided on a first-come, first-served basis. Access for Challenge participants will be based on 15K Seeded Start Requirements. For Seeded Start Access, a written results verification is required and can be presented BY-MAIL with a completed entry form and payment. PLEASE NOTE that if registering Online for the Challenge, a 15K Estimated Finish Time will be requested and once verified utilizing Athlinks, will be used for Seeded Start Access consideration. 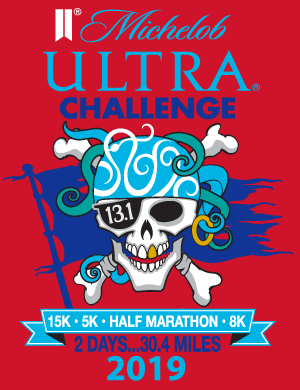 Please note that the Michelob Ultra Challenge Sells Out Quickly! Refunds and/or transfers of registration are not allowed in the Michelob Ultra Challenge. To receive a 2019 Michelob Ultra Challenge Deferral Form and Deferral Fee payment information, please send an email to: registration@tampabayrun.com. Participants that register online and provide a valid email address will receive a Race Week Registration Confirmation via email no earlier than Monday, February 18, 2019. This confirmation will be in addition to the confirmation received from Active Networks upon completion of online registration. The Race Week Registration Confirmation will include each participant’s Race Number, Name, Address, Race Entered and Age. PLEASE NOTE: Registrations by mail must be postmarked by January 11, 2019. If available, Late Online Registration for the Michelob Ultra Challenge will close on Sunday, February 17, 2019, or when the Michelob Ultra Challenge Sells Out! There will be no Race Weekend Late Registration for the 2019 Challenges!!! 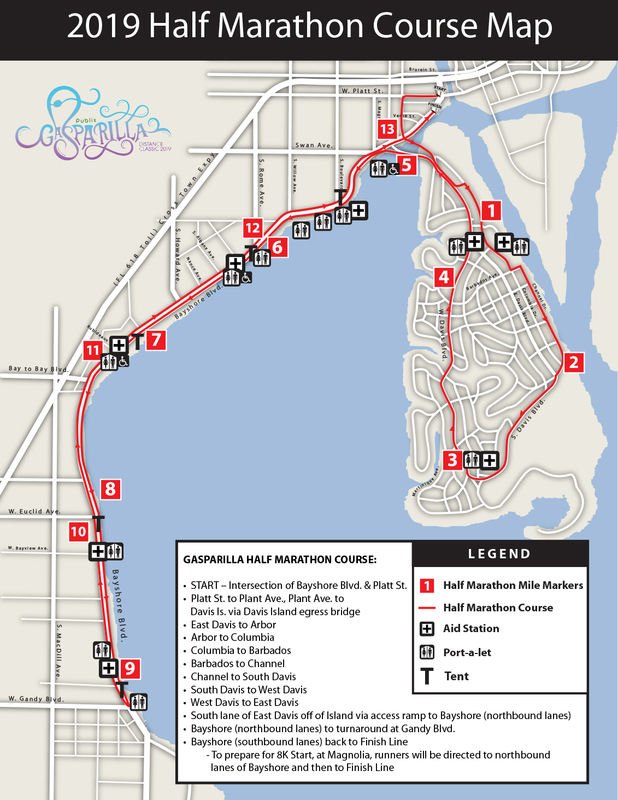 PLEASE NOTE: Runners and walkers participating in the 2019 Michelob Ultra Challenge must complete the Publix Gasparilla Half Marathon in under 3 hours and allow enough time to make it to the Official Start of the Publix Gasparilla 8K. 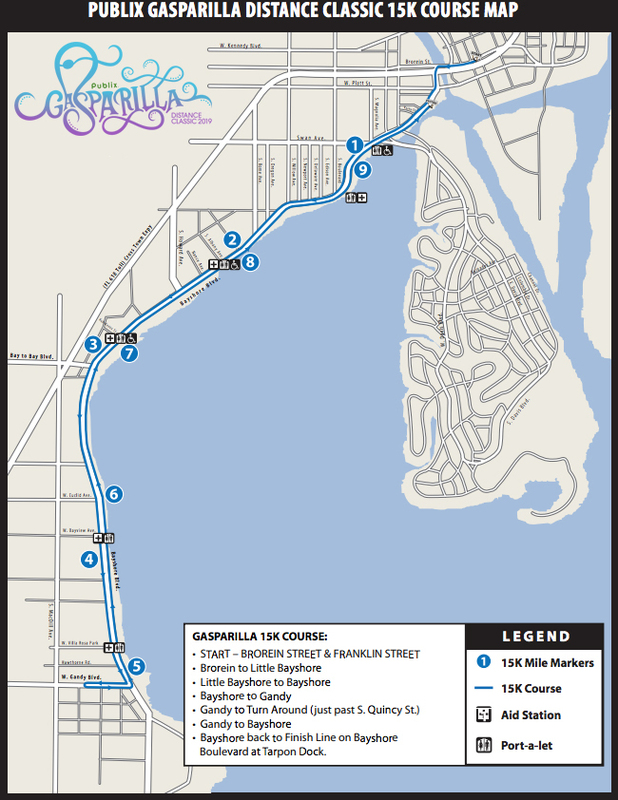 The Publix Gasparilla 8K will start promptly at 9:15 a.m. Once the Start is cleared at approximately 9:25 a.m., the Start will be closed. Once the Start is Officially closed, the timing mats will be pulled and runners/walkers arriving late will not be allowed on course.